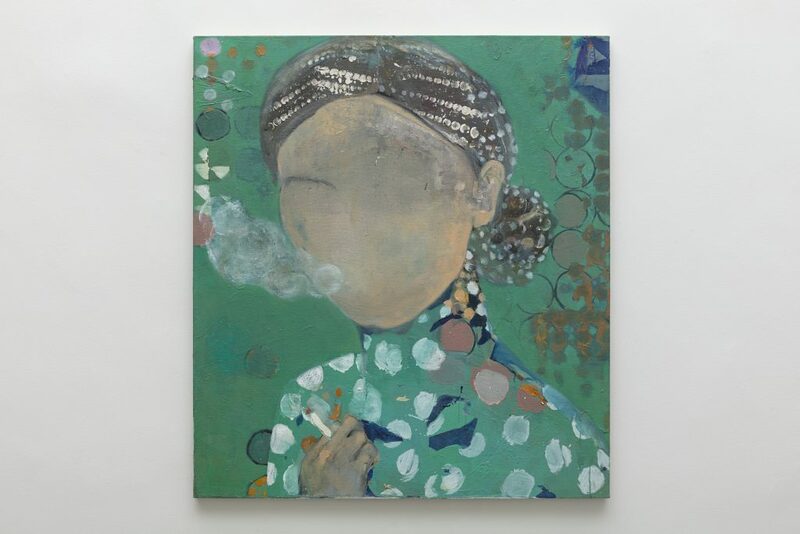 Cristina Canale, Smoke, 2017, mixed media on canvas, 100 x 90 x 5 cm. Photo Everton Ballardin. 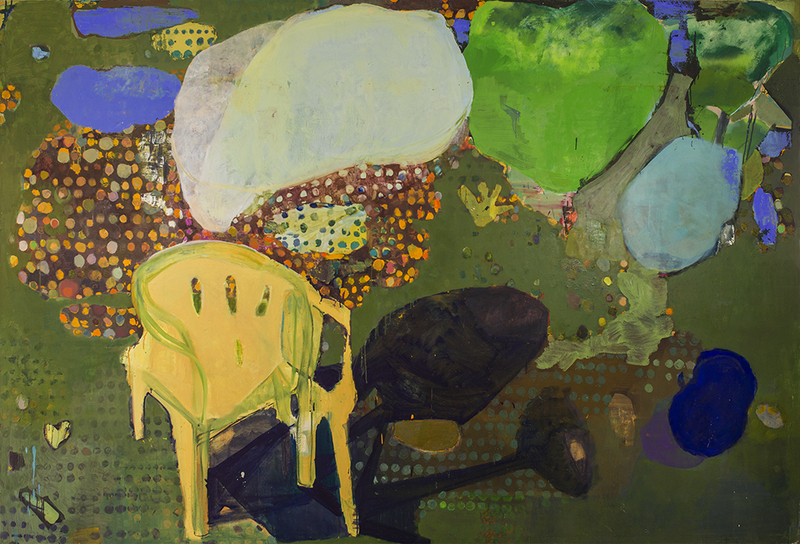 Cristina Canale, Vozes (Voices), 2011, acrylic and oil paint, and oil stick on canvas, 140 x 180 cm. 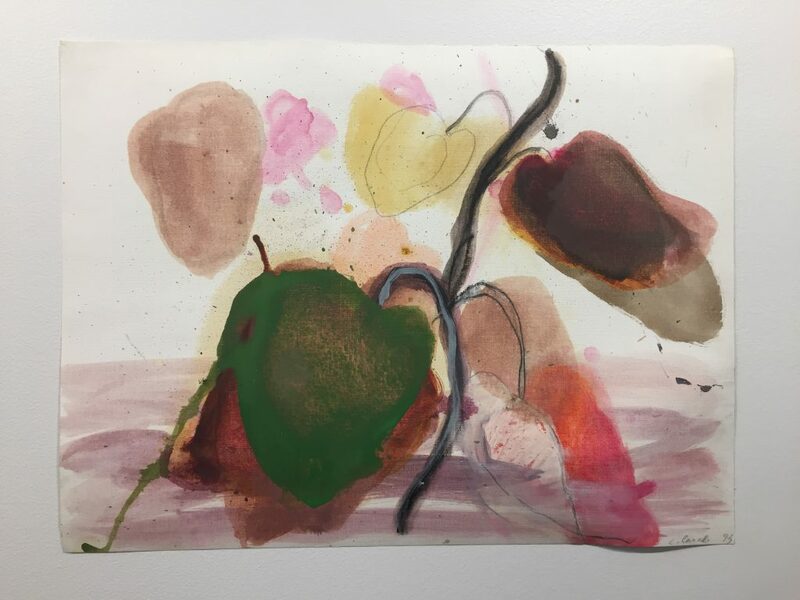 Canale shrewdly investigates the constructs of her personal world while articulating her own perspective with a palette and an imagery that prop up a familiar universe based on comfort—both the appreciation of and the longing for. Narratives merge and boundaries are eroded in her painterly weave of figurativism with colorful abstract patches. The overall result never feels overly tailored or eager to embrace trends and the entertainingly bizarre. Without slipping into camp territory, the visual glossary of her genre themes, with family and friends, dogs and chairs, as well as totes and high heels—with no harmful stereotyping of gender—aren’t gratuitous titillations nor statements of female empowerment. These personal, quite candid reflections on her own experiences express character, motivation, meaning and—why not—simply feeling good. Better said, an essentially Brazilian kind of wholesomeness in a sunny day freshened by the sea breeze with Jobim’s fluid bossa nova piano notes in the background and an icy cold caipirinha in hand… A relief from this puzzling world. Cristina Canale, Untitled, 1993, mixed media on paper, 47,5 x 61,5 cm. Recent solo shows include: “Cristina Canale: Zwischen den Welten,” Kunstforum Markert Gruppe, Hamburg (2015); “Entremundos,” Paço Imperial, Rio de Janeiro (2014); “Arredores e Rastros,” MAM/ Rio de Janeiro (2010); and “Cristina Canale,” Instituto Tomie Ohtake, São Paulo (2007). In 1991, the artist participated in the 21st Bienal de São Paulo and was awarded the State Governor’s Prize. 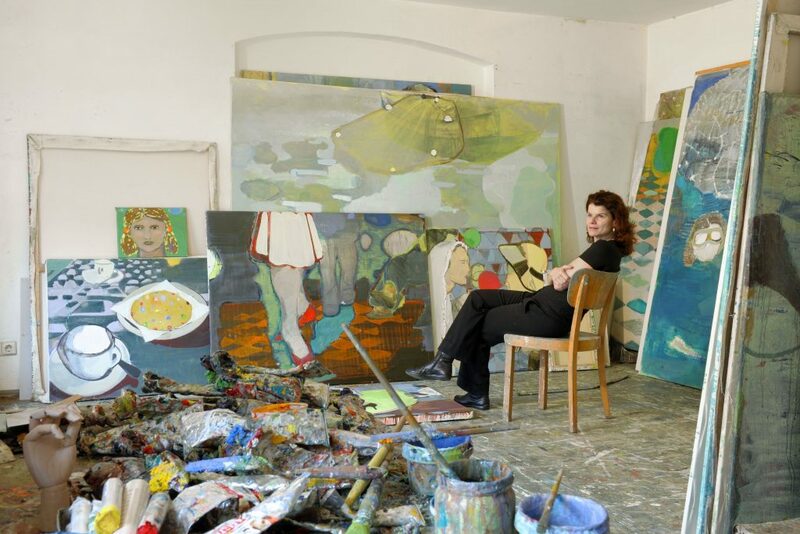 Canale has received two grants in Germany, the first in 1993, a residency from the state of Brandenburg at the Künstlerhaus Schloss Wiepersdorf at Wiepersdorf castle, followed by the Deutscher Akademischer Austauch Dienst (DAAD) grant to study art at the Staatliche Kunstakademie Düsseldorf from 1993 to 1995. 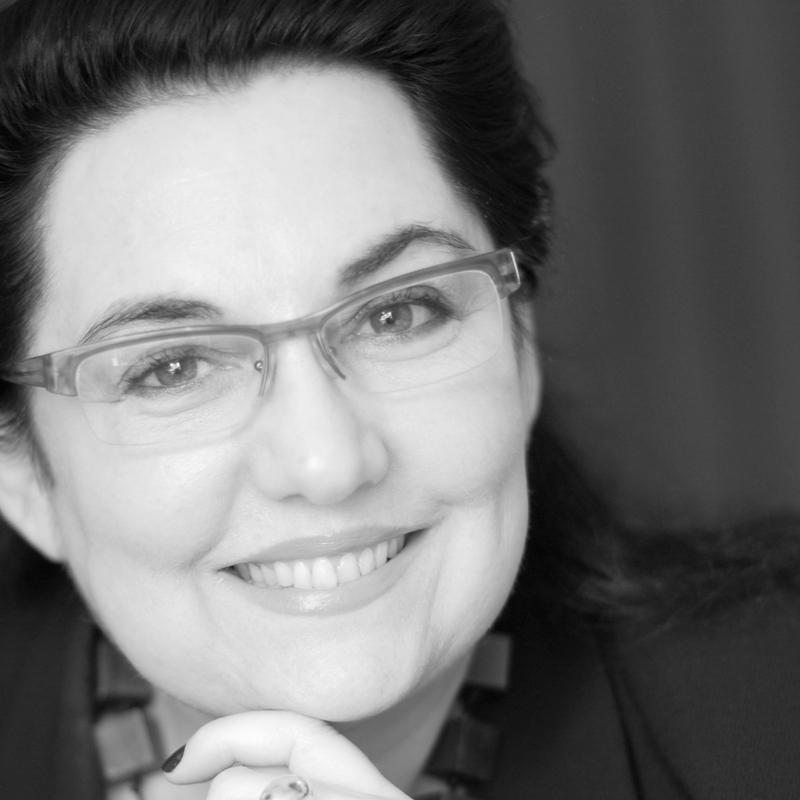 Cristina Canale’s work is present in important Brazilian collections such as Gilberto Chateaubriand Collection, MAM, Rio de Janeiro; João Sattamini Collection, MAC-Niterói; and in São Paulo at Instituto Itaú Cultural, MAC/USP, and the Pinacoteca. The artist opens 2019 in a collective exhibition at the No Hero Museum in Delden, Holland. 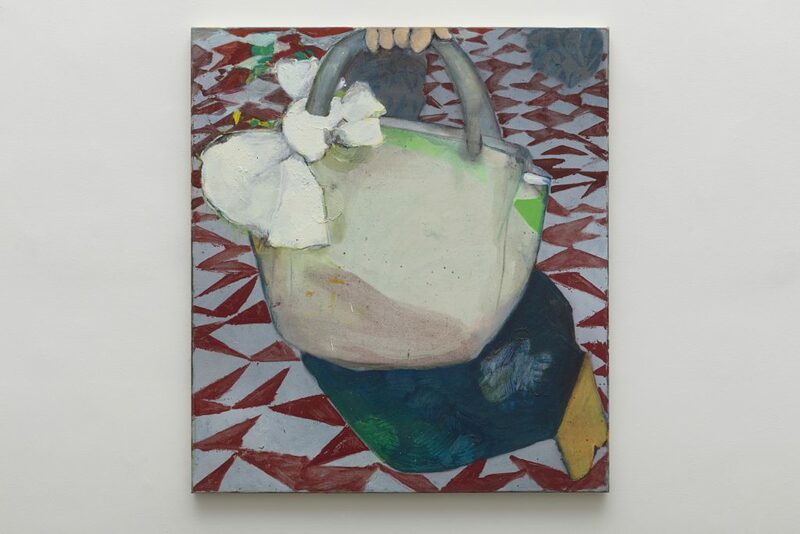 Cristina Canale, Sacolinha (Tote), 2017, oil on canvas, 100 x 90 cm. Photo Everton Ballardin. 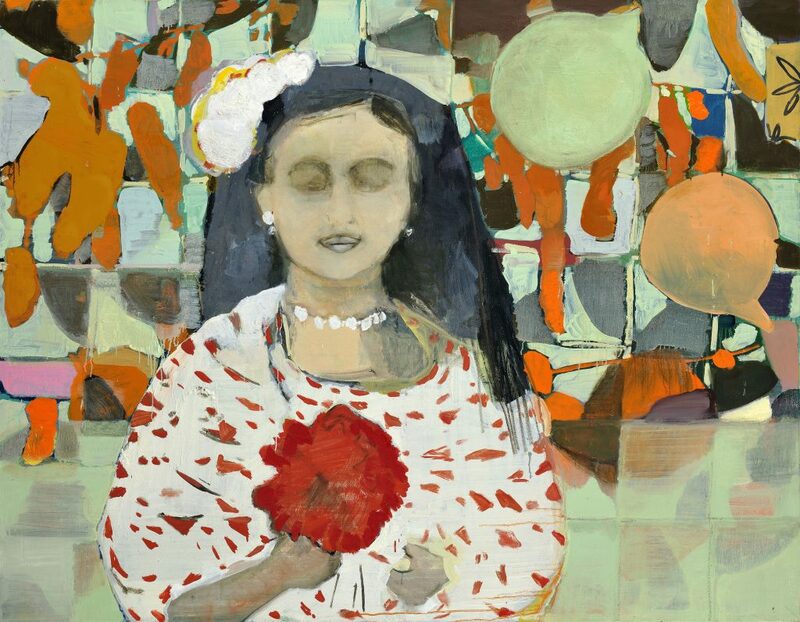 Cristina, the art world has announced the death of painting several times. Why do you remain faithful to the canvas and brush since the 1980s? I never gave any credit to painting’s “demise”; however, what really bothers me are the rumors on the “death of art.” Nowadays, any technique or narrative is grappling with difficulty to articulate and transpire as art—this is not an issue only happening to painting. 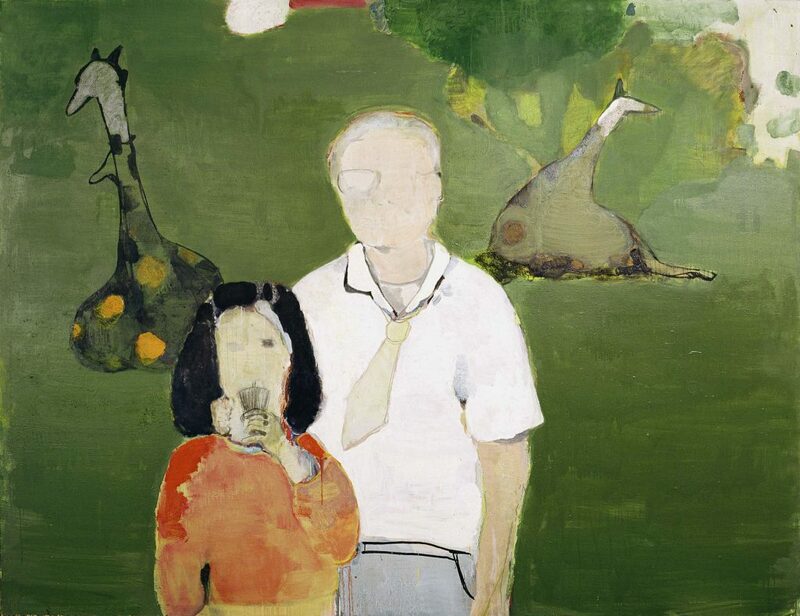 Cristina Canale, Avô e neta (grandfather and granddaughter), 2007, mixed media on canvas, 190 x 250 cm. Many artists from your generation have migrated or experimented with other media. So what makes you addicted to painting? It is all about the dialogue within myself, it is absolutely vital for me. Some people need to play puzzle to solve their internal equations. For me the process of painting day after day is a profound meditation. Cristina Canale, Nuvens e sombras (Clouds and Shadows), 2018, mixed media on canvas, 78.7 x 118.1 in. In a recent interview when asked about what you search for in painting, you answered: “Die Anwesenheit der Welt” (the presence of the world). What did you mean by that? To be frank I also found that odd when I read it (LOL). I guess it comes from this strong impulse I have always had of getting into the essence of things. I usually work simultaneously with a group of about ten paintings, all dealing with the same or similar subject matter. The whole process takes about a year, with each canvas pointing to the next. I confess, I am kind of slow in my decision-making. Everything can inspire me: something leftover from older phases or processes, an image in the Internet, the photos I take during my vacation, a film, a poem… They are all doors that open up when I walk into a certain “corridor,” like a flow of thoughts and images. Usually, I work with large and small canvases on the wall or lying on the floor. When I use a more liquid paint I put the canvas horizontally to allow for a better control of the dripping but to look at the painting, I peg it to the wall. Cristina Canale, Nuvens (Clouds), 2017, mixed media on canvas, 39.4 x 35.4 x 2 in. How do you define your painting? 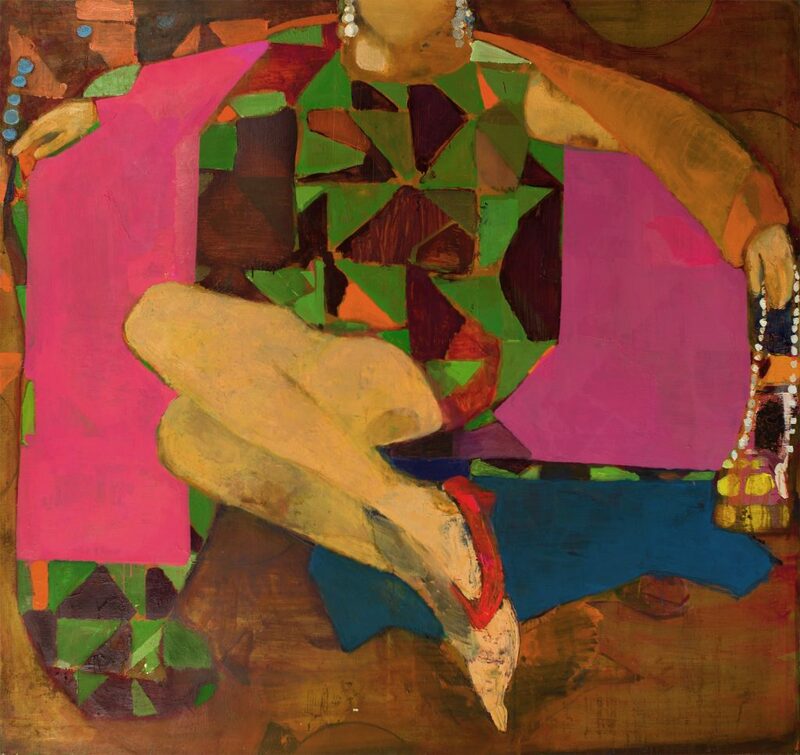 Many of my works come from the tension of abstract autonomous values and the recognizable inherent to figurative art. My paintings and drawings bind together these two views: the eye that searches the figure and the eye that is able to see the dynamics behind the image. I prefer 50/50 situations, a meeting of different waters. Let’s move on to your palette. You work with lots of colors. Not really—my palette, in fact, is quite limited. I usually have two opposite sub-tonal colors dominating the canvas and subjacent colors for the dynamics of the surrounding atmosphere. I have a strong feeling for color hues and temperature. However, nothing is planned; my color work is very intuitive. I use white for its luminosity and neutral potential. I find white areas have a peaceful effect on me, help my eyes see the rest of the work while black comes in punctually in my palette. 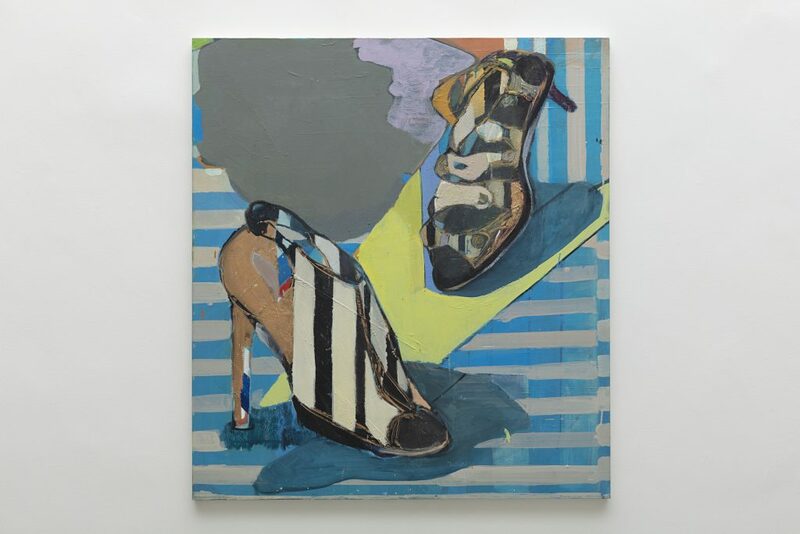 Cristina Canale, Fenster (Shop Window), 2018, 110 x 100 cm. Photo Everton Ballardin. What size pleases you most when painting? In the eighties and early nineties, I painted a whole series sized 230-by-350 centimeters, the largest I have worked on till this day. Some of these canvases were shown in the 21st São Paulo Bienal in 1991 and now are in the Pinacoteca collection. At the moment, I prefer to vary the sizes, as small as twenty-by-thirty centimeters up to 200-by-300 centimeters, but what makes me most happy is a well-solved painting. Now tell us about your studio Kreuzberg. Have you fallen in love with Germany? I have lived and worked within walking distance in this neighborhood since 1995. On the way, there are three art material shops, which saves me a lot of time. I would not say I fell in love with Germany but I enjoy living in Berlin and be able to spend a week a year high up the Black Forest. All the cities in Germany have at least one interesting museum. It is a very egalitarian society, all the services work, the cultural environment is open to the wildest researches and the art scene is very comprehensive, full of radical experiences. It is a good place to live and work. 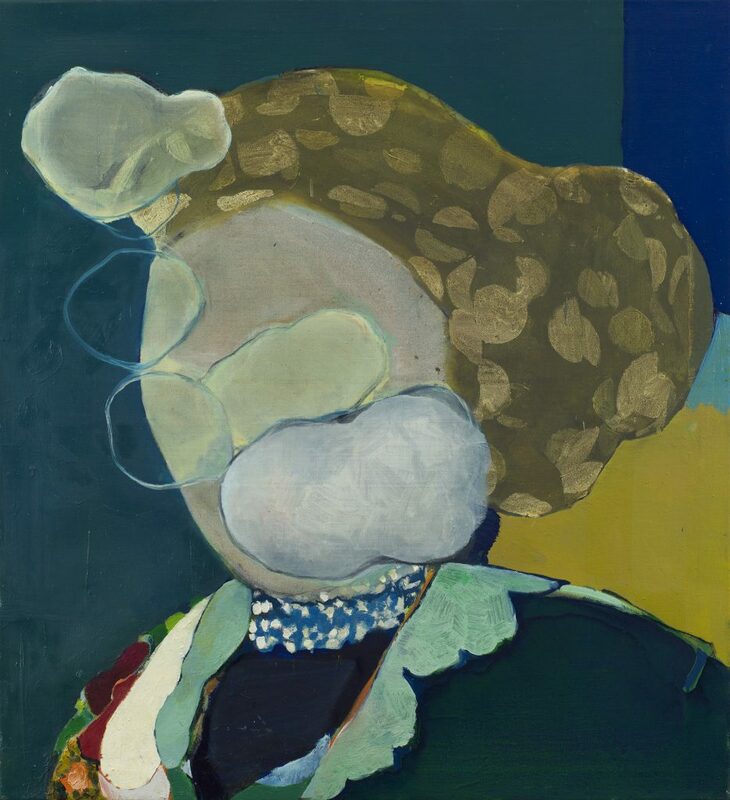 Cristina Canale, Ella, 2018, mixed media on canvas, 170 x 180 cm. Where do you find yourself in this moment and time of your career? My greatest challenge has always been to stay away from my comfort zone and to stop my work from “freezing.” After so many years painting, the changes in the work are subtler than those when the artist is still in his or her thirties. Most important of all is to keep a strong motivation. Presently, my work process is more focused in “how” than “what.” In these thirty years, I have experimented with a wide range of themes that interweave to form a fabric rich in symbols. My focus now is the rapport between my figurative and abstract vocabularies. In relation to the narrative, I am, as always, very open. I don’t believe in “dead ends” in art. Who are the artists that you look up to? I have many dear artists and influencers. I specially like the post-impressionists and expressionists: Edward Munch, Egon Schiele… Japanese art, is special—the screens of the Edo period. When I was a student I looked at the Americans: Arthur Dove, Milton Avery, Helen Frankenthaler… Among the French, I love Picabia! Germans: Casper David Friedrich, Ernst Ludwig Kirchner, Gabriele Muenter, Sigmar Polke… Danish Per Kirkeby. Brazilians Guignard and Volpi, among many others. Quite a large family. 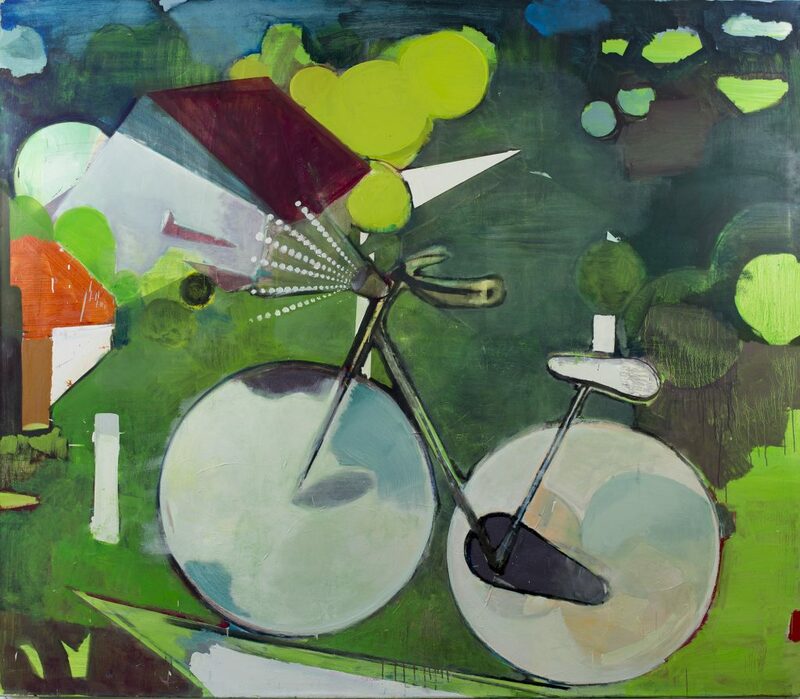 Cristina Canale, Bike in the dark, 2018, oil paint on canvas, 66.9 x 78.7 x 2 in. Now let us wrap up with an advice for a striving young artist like you once were in the 1980s.